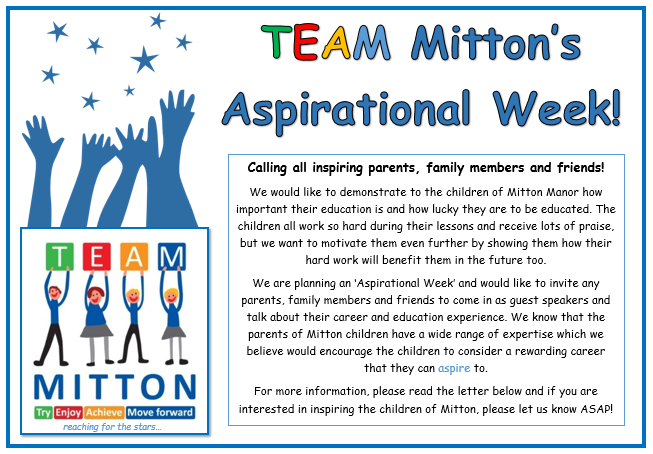 At Mitton Manor, we are very lucky to have parents, families and friends who have wide range of careers and subject expertise. We know that a lot of our children aspire to be successful in the future. We would like to demonstrate to them all that resilience plays a key part in reaching these future goals! Can you help us? This term, Year 3 and 4 have been lucky enough to have been selected to participate in weekly activities with the ‘Elite Commando’ team. Elite Commando Survival (ECS) was set up and founded by former Royal Marines Commandos who wanted to bring their experience and expertise to the civilian world. Between them they have over thirty years’ experience in the Royal Marines and offer their skills and expertise to the public by offering a range of courses that aid team building and personal development as well as giving a unique insight into life as a commando. They offer an experience and approach unlike any other. The children will take part in carefully designed activities, that are challenging yet achievable and most importantly, fun! They do all of these things whilst instilling the virtues of self-discipline and determination. All of the instructors are former Royal Marines Commandos who take pride in delivering the activities in a friendly manner with the magic of boot neck humour thrown in for good measure. We are all very excited to see what they will be doing this term.